Resorts on Phi Phi Island are scattered though out this amazing island and offer something for everyone and for every budget. From bungalows, to simple rooms, to incredible suites, the wondrous resorts on Phi Phi Island provide the peace and serenity you are looking for. Phi Phi Island resorts furnish the right setting in which to recover from the rat race you left behind. Resorts on Phi Phi Island fall into every price range. Luxury bungalow accommodation on Phi Phi Don vary in style and magnificence! The best luxury hotels on the island are of the bungalow style and are located right on the beach. The best luxury resorts on Phi Phi are in three main areas, Laem Tong, Loh Bagao Beach and what is referred to as P... read more. For those who want a smart resort on the edge of the main village in Phi Phi Don, the Phi Phi Island Cabana Hotel could be the place for you. Large comfortable rooms in a low rise complex makes for a stylish stay on Phi Phi, one of Thailand's, true magnificent locations.... read more. Phi Phi Island cheap accommodation is a key search term in the season when travellers on a budget and students arrive in Thailand looking for a glimpse of 'The Beach', tremendous scenery and a cool place to stay. Phi Phi Island is a travellers mecca with most people just needing 3-5 days ac... read more. There are a great number of good Phi Phi Christmas packages available. This is one of the busiest times of the year and a great time to visit one of Thailand's most celebrated Islands. The packages are predominantly found on this website and are for hotels in the main Phi Phi Don Village ar... read more. There are an interesting selection of Phi Phi Hotel 3* on the main island of Phi Phi Don. They are mainly beachfront properties as the island is so mountainous that all accommodation is on the edge of the island. These hotels vary in size from 20-80 rooms. Phi Phi island is a low rise desti... read more. All the island accommodation gives you a Phi Phi resort near the beach. Most of the inhabited Phi Phi Don Island is mountain or cliff so all the resorts are squeezed down on to beautiful beaches under a coconut canopy and tropical sun.... read more. The high end Koh Phi Phi luxury accommodation brings together fine resorts on an extraordinary island. The Zeavola Phi Phi Resort, Holiday Inn Phi Phi Island, Outrigger Phi Phi Island Resort and Spa (formerly Phi Phi Island Village Resort And Spa), Phi Phi Island Cabana Hotel are the main l... read more. There are many types of resorts on the island and if you are looking specifically for a Phi Phi beachfront pool villa resort you have come to the right article. Many resorts are beachfront and have a pool with villa accommodation but none have private pool facilities.... read more. The Phi Phi Popular Beach Resort has had mixed reviews but is unquestionably one of the best placed micro resorts on Phi Phi Don Island. Right under the towering cliffs of Tonsai Bay and just a couple of meters from the sea it really has one of Thailand's most idyllic locations.... read more. A Phi Phi Island hotel gets you accommodation in one of Thailand's top travel destinations. The magnificence of the scenery, the stunning beaches and deep blue sea make for a perfect island second to non. Diving, snorkeling and swimming off the coral reefs make for a perfect back drop in your island paradise. ... read more. Koh Phi Phi Outrigger stands alone on Loh Bagao Beach dominating one of the most beautiful beachheads on the island. Formerly known by the name of the Phi Phi Island Village Resort and Spa it has excellent Pool Villas and Beachfront Cottages as well as deluxe rooms. The pools, diving and sp... read more. To find the right Ko Phi Phi resort is key to having that perfect stay on one of Thailand’s most loved islands. This top 10 destination is magically beautiful and busy around the main pier so getting the right beach or budget does require a bit of planning and awareness to make a memorable ... read more. There are some fun Phi Phi party hotels down on the beach in Phi Phi Don Village. These bungalow resorts are right next to the main island party bars that push out some great tunes out in to the night. The other cool places to stay are next to the 'early bars' in the center of the village a... read more. Koh Phi Phi Apartments can't be found. The island is so small and dominated by hotel, resort, guesthouse and backpacker accommodation that the island has no apartments for rent or sale, in the sense of what you can get in Phuket, Krabi, Samui or Bangkok. However this article gives you the n... read more. Hotels on Long Beach Phi Phi have long been the destination for those who want beachfront accommodation without all the hubbub of the Phi Phi Don Village. Just 10 minutes from the village allows these hotels to give tourist the best of both worlds, a first class beach location and easy acce... read more. There are some good Koh Phi Phi discounts to be had if you know the right place to look and the right time to travel. Phi Phi is 45 km from the mainland and has no mainland electricity (2012) and so prices tend to be higher than on the Phuket, Samui and Krabi beaches. This ensures finding a... read more. Outrigger Phi Phi Island Resort and Spa is one of Phi Phi Island stop luxury resorts. On the beautiful Loh Bagoa Beach on Phi Phi Don, the raised beachfront bungalow cottages are set amongst the coconut palm plantation overlooking an aquamarine sea.... read more. Koh Phi Phi accommodation varies from the smart and luxurious 5 star 'Zeavola Phi Phi Resort' to the modest and budget 'The Rock Backpacker'. In between these two extremes there there is plenty to choose from for every type of holidaymaker or traveller. ... read more. Following on from the previous page detailing the Phi Phi beachfront resorts of note we continue here to give a further popular and good resort, Phi Phi Relax Beach Resort, and explain the low season price breaks as well as the resort deals available.... read more. Following on from the previous page detailing the Phi Phi beachfront resorts of note the article continues here. A further popular and good resort, Phi Phi Relax Beach Resort is quite different and deserves a mention. The low season price breaks as well as the resort deals available are also explained.... read more. The best Phi Phi beachfront resorts vary according to tastes and needs. Some say the key point is the beach. Others say it’s the Phi Phi views. Still more say it’s the type of accommodation and finally many say it's about the quality of the resort. Phi Phi is dominated by beachfront resorts... read more. Staying in the luxury Phi Phi villas add a certain exclusiveness to a trip, on what is one of the prettiest islands in Thailand. The privacy and seclusion of Phi Phi villas brings out the best in a travel experience and the space and time to really enjoy away from a hectic world.... read more. Phi Phi cheap rooms are found in the busy and main Phi Phi Don village near the pier and come in the form of hostels, guesthouses or resort bungalows. Further ways to get cheap rooms are to share, travel in low season or get a deal.... read more. Phi Phi island is no different to the rest of Thailand's ocean and sea front hotel destinations. The high end needs of it’s customers are satisfied with 5 and 4 star hotels, boutique resorts and or lower level star hotels with premier rooms types.... read more. A stay at a Phi Phi Long Beach resort gives you the best of many worlds. The glorious beach and coral reef is conveniently close to the main village but still quiet, the views of Phi Phi cliffs are stunning and the choice of bungalows from 2 star to 3 star.... read more. The best place to get the latest Phi Phi resort reviews is on our very own resort fact sheet pages. Find out what guests who have stayed at the resort think of 'what's happening', where's great value and what special deals are available on each one of every glorious resorts.... read more. When you go to Phi Phi from Phuket you experience a very different accommodation style. Phuket has strong modernising influences from it's Chinese heritage and connection with Bangkok. Phi Phi is in traditional Krabi province which has a unique and rich history of local hospitality. ... read more. Where to stay on Koh Phi Phi is key to a great time on one of Thailand's best holiday islands. There are 6 main areas to choose from with each beach giving quite differing experiences. Staying on Maya Bay is very different to staying in the heart of Phi Phi Don village..... read more. Phi Phi is all about diving and Phi Phi Diving Resorts dominate the beachfront of Phi Phi Don. The Phi Phi archipelago are a series of 4 main islands and 3 off lying rock islands and these are surrounded by warm tropical water, full of sea life and with over 25 km of coral reef. Nowhere on ... read more. Koh Phi Phi bungalows fit together a perfect holiday in this one in a million islands. Bungalow accommodation has the privacy and surrounding space that a hotel doesn't afford and part of the reason that you come to Koh Phi Phi is to experience some of the best natural scenery so it is righ... read more. Koh Phi Phi Beach Resort refers to 2 ideas. The Phi Phi The Beach Resort on Long Beach and Beach resorts on Koh Phi Phi. This article shares information about both of these subjects and directs you to further links that will go into further detail.... read more. There is a Ko Phi Phi guest house everywhere you look in Phi Phi Don Village. Ko Phi Phi guest houses have as many rooms as the traditional hotel and resort accommodation. This means you have a great amount to choose from. Guest houses are the way to go if you are on a budget, want to be ce... read more. When you find the Ko Phi Phi hotel deals page and have selected what's best value for you, you will then only have one task left, to enjoy your holiday in paradise. Ko Phi Phi is one of Thailand's jewels, a place more photographed than almost any other location outside Bangkok's Grand Palac... read more. The cheapest guesthouse in Ko Phi Phi is The Rock Backpacker, Tropical Garden Bungalows, Harmony House and Phi Phi Hill Resort. There are other names that are in the list but these are the cheapest guesthouses that are popular and are rated.... read more. Phi Phi Island thrills the family as a holiday destination. No other location has all different atmosphere, action and fun quite like Phi Phi ensuring genuinely memorable family holidays. Phi Phi Holidays leave memories of a life time. ... read more. Some people may feel that suites are the way to go for rooms on Phi Phi Island. Zeavola Resort, a five-star resort, offers beach front suites, garden/hillside suites, village suites, and the Zeavola suite. These deluxe, luxurious suites are furnished with king sized beds, hidden access to t... read more. If you need a Koh Phi Phi Hotel and want a good selection you will probably find what you need at phi-phi.com. Having worked on the island since 1989 the business partners know all about all the hotels. Whereas some online booking agencies focus on the headline accommodation, phi-phi.com gi... read more. Ko Phi Phi Don is where all of Phi Phi's hotels are found and it is also the center of the islands with banks and facilities.The main center on Phi Phi Don is also referred to as Tonsai Village. These are principal locations in Ko Phi Phi where you can find hotels which vary greatly in styl... read more. The Andaman Beach Resort on Phi Phi Island is one of our favourites. This beachfront resort is very popular with the kind of traveller that is in search of paradise. Overlooking Phi Phi Ley in the Andaman Sea and the Tonsai cliffs of Phi Phi Don you have an unbelievable view, some of the ... read more. The extraordinarily beauty of Phi Phi Island offers the ideal location for couples on their first trip as husband and wife. Many of the most romantic scenes can be explored amongst the cliffs and beaches at sunset. The unforgettable atmosphere at Maya Bay at 6.30 must match the great moment... read more. Zeavola Phi Phi Resort is a luxury 5 star resort on Phi Phi Don Island, Thailand. Of all the 4 and 5 star resorts on these world famous islands the Zeavola Phi Phi Resort commands a pinnacle of excellence. Elegant villas surrounded by verdant beach bushland give privacy and intimacy to the ... read more. Thailand Phi Phi Resort offer a glimpse of paradise. For the many travellers who make their way out to the islands on the Thai south west coast the beachfront resorts are the reason why they come to Thailand in the first place. The stunning scenery and beautiful beaches, what more could you... read more. We are often asked if there are any out of the way budget resorts and I immediately think of Phi Phi Relax Beach Resort. The resort is tucked away on the east coast and often passed on the way up to Bamboo Island, but few, if any, just stop here and take it all in.... read more. PP Casita bungalows are one of Phi Phi Don Island's most popular budget accommodation. The combination of great budget prices, the pool and being just 60 meters from the world famous Loh Dalum beach makes this resort heavily sought after and well reviews.... read more. The get away Phi Phi Island Village Resort And Spa paradise takes to you a place time forgot, into an area of outstanding natural beauty. It is no surprise that the resort has such recommendations, is popular and at times difficult to find rooms for.... read more. Guesthouses all over Asia give the traveler or backpacker on a budget the perfect opportunity to travel for long periods. Guesthouses also are ideal for those who want top meet other travelers, don't want to book ahead, take a chance and generally go with flow.... read more. Budget holidays are the only way to travel. No matter how much money you have, no one wants to spend more funds than necessary to have fun. This is what makes Phi Phi Island holidays so impressive. You can enjoy some of Thailand's best scenery on a Phi Phi Island holiday while spending litt... read more. My brother in law, who runs phi-phi.com, requested a first impression of Phi Phi Hotel to put in his article page... so here it goes. This is my one shot at a review, as I am not used to writings for strangers. I must admit it feels a bit odd...... read more. The Holiday Inn Phi Phi Island has the best of an internationally branded hotel name and one of the best positions on the world renowned Phi Phi Island. The recent refurbishment and improvement of bungalows types has broadened its appeal to the discerning traveller who is drawn by luxury an... read more. Prior to me going to the island, I surfed the net for free night specials on Phi Phi. Lo and behold there were offers in Phi Phi that I never even though about. I was looking for the cheapest deal on Phi Phi and found the free night specials in the Phi Phi Low season and they were quite di... read more. The Phi Phi islands are truly, paradise on Earth. Paradise in a sense that not only does Phi Phi have the perfect beaches and plenty of adventures like diving and snorkeling, but also, it offers some of the cheapest Hotel deals in Thailand. I fell in Love with Phi Phi Island and can't wait... read more. Hotels on Phi Phi Island impress the visitor with their varied in the quality of the natural beauty, the amenities and services. Most of the accommodation offers world class views of the magnificent Phi Phi islands, the large majority are on the beach, some have very private villas and the ... read more. Koh Phi Phi Resorts Hotels and hostels come in all styles and at many budgets. It is difficult enough to choose your accommodation sifting through all the reviews, hotel fact sheets and commentary before you get to a booking website. Isn't nice to know that phi-phi.com has no Booking fee a... read more. A Koh Phi Phi Wedding is one of the islands best activities.... The magic of a marriage ceremony where two people confirm their vows in a tropical setting, is poetic. With just the breeze and the sound of the waves to accompany a service down on the beach, a Koh Phi Phi Wedding creates a m... read more. Marrying and need a Phi Phi Honeymoon resort then you might have just come across the right article. Phi Phi Island is one of the World's most romantic islands with palm fringed beaches, coral filled seas excellent resort rooms and some stunning natural scenery.... read more. 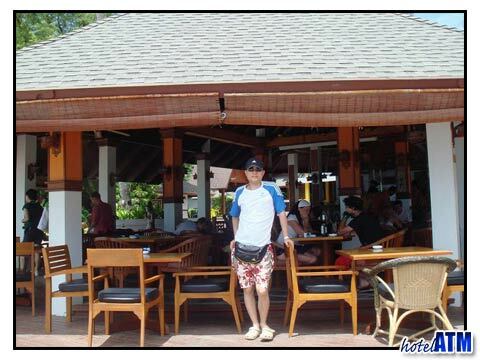 The Holiday Inn Phi Phi Island is a luxury resort on the northern beach called Laem Tong on Phi Phi Don Island. The Holiday Inn is a big international brand name and is often full and so doesn’t have good deals on all the time but with a little smart attention to the way the Holiday in sets... read more. Phi Phi Hotel Deals are on everybody's minds when they look into booking a hotel for Ko Phi Phi. It is the hunter in us all that so loves it when we get a cheap deal. There is nothing quite so satisfying like getting a bargain, or a one-off discount when we pay out for our accommodation so ... read more. 5 star Phi Phi Island resorts requires luxury and standards that only the Zeavola Phi Phi Resort can fulfil. Phi Phi Island is a small travellers destination and has only one 5 star resort. This article is about the Zeavola and the other luxury resorts on the island and in the area.... read more. If you need a Phi Phi hostel this might be the article for you. There are many Phi Phi Hostels in Phi Phi Don Village aimed at those who want to spend time on the beach doing things, hanging out with friends and not just whiling away time in their rooms. Phi Phi island is a place to explore... read more. Traveling to Phi Phi Island has been immensely popular in the last 20 years but it has not always been like that. While backpackers were exploring the larger islands of Phuket and Koh Samui, the more remote destinations of Phi Phi, Taru Tao and Koh Mook, were relatively hidden and stayed v... read more. Before "The Beach", the first backpackers arrived on Phi Phi Island from Phuket, Krabi and Samui in the middle 1980s. The main pull to the island still is the scenery and diving. A few dive schools opened up and greater numbers of travelers came.... read more. Most rooms on Phi Phi Island have been designed for couples, as the island saw few children on holiday. Since 1999 the number of families has increased dramatically as hotel facilities have become more child friendly and there are now options for parents. ... read more. Phi Phi Island resorts are suitable for all budget. Cheaper than to the Caribbean, Mexico and Florida the tropical get a way of Phi Phi Island has a plethora of choices. You many choose to stay at a very reasonably priced Phi Phi Island resort, or you may opt for a more expensive, specialt... read more. The Phi Phi Island low season runs from May through October. Travelers looking to have a great holiday while staying on a strict budget should consider visiting Phi Phi Island during the low season (or green season as it is called). There is the risk of rain, but also you will feel very muc... read more. Vacation and Holiday packages have long been the way to get a great travel deal and for Phi Phi Island, it is no exception. The 2 or 3 center vacation lets you see a place and contrast that experience with something similar. The memories can be more sharp because it is easier to remember 2 ... read more.